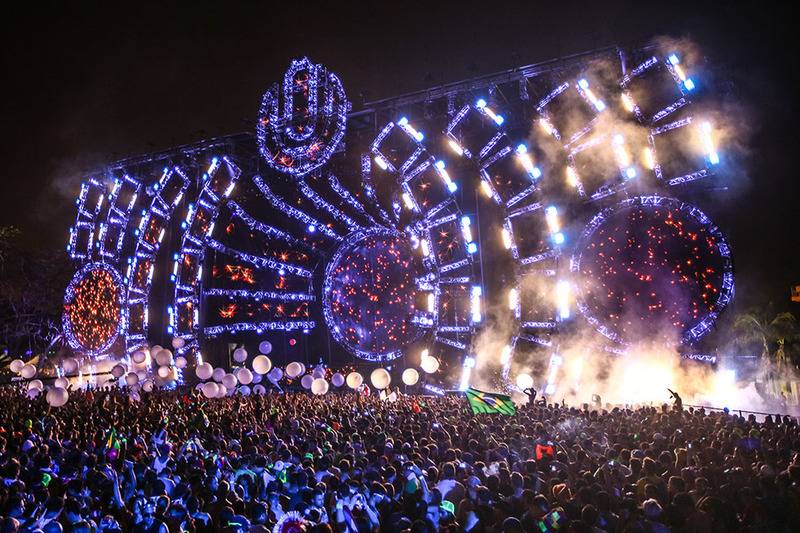 The law firm of Santucci Priore, P.L., which represents the owners, operators and licensors of the Ultra Music Festival, is giving away TWO (2) THREE (3)-DAY PASSES to the Ultra Music Festival in Miami for March 27, 28 and 29th! In 2013 the Ultra Music Festival became the largest music festival of any genre of music in the United States. One winner will be randomly chosen and will receive both tickets/passes which will be valid for entry on all three days and nights of the festival in Miami. The contest benefits a local breast cancer awareness organization Save The Twin: Live Pink! I would be the luckiest mom to win this tickets to be able to go w my daughter. Ultra for me is the most amazing experience anyone could have!!! I hope and pray I’m the lucky one. I should win because i am planning to fly from far away for this event. I am having hard time getting the tickets from where i am. Luck hasnt been on my side until now but i am hopeful and can feel that i will get united with that crowd for a breathtaking moment. My husband has wanted to go to this concert since the start. He works nonstop to make sure we have money for our fertility treatments so going to a huge concert like this is not in the cards. This would hands down be the best gift ever! You guys are awesome for doing such an amazing giveaway. I would love to bring my brother who just started college at Full Sail University. He loves music and has always wanted to go to Ultra. I am a long time fan of these festivals, but they’ve just become too expensive! Please give me this opportunity! I deserve to win these #UltraMiami tickets because to me ULTRA is more than family! ULTRA influenced me to know the EDM world. The 1st EDM gig I had ever been to was ULTRA MIAMI 2012 and from there I have always been a FRONT ROW SUPPORTER for EVERY GIG. Be it any ULTRA gig I would be there in FRONT ROW as always. I reach the venue before everybody else reaches so that I can be in the front and support the Artist and ULTRA Festival both. I never feel like missing any ULTRA gigs because I feel it is my family and I cant live without it. I’m so happy that my PHOTOS appears in every gig album uploaded by ULTRA as I’m always in front row. My Friends call me FRONT ROW RAVER these days, hahaha! I can miss any damn clashing Gigs/Marriages/Birthday Parties etc on the day when there is a ULTRA gig. It saved my life that’s what I can say. It made me a real ULTRANAUT. I will always be the FRONT ROW RAVER till my last breath & a ULTRA fan too! I would like to thank 500law for hosting such a kickass contest. Keep coming up more! Kudos to you guys! I’ve wanted to go to Ultra for years but the money was just never there! It would be awesome to win this contest and finally get to go! Thanks for having the contest! This would be first time experiencing Ultra Music Festival if I were to win free tickets. I am big fan of the music and an even bigger fan of the artist performing. As someone who enjoys all forms of music, this will be one of the many events I plan on attending throughout the year if I am chosen. Thank you very much. this would be so amazing. I think it’s wonderful you guys are doing this giveaway based on something so important and real in life. Love this opportunity, thank you so much! i have been trying to go to ultra the past three years but it hasn’t working out for me, and now that i’m in pharmacy school, i can’t afford the tickets. please help me out so i can finally attend. this year is during my spring break. My boyfriend has been going to Ultra for the past 3 years, im flying all the way from penn state and we’re both broke college students and can barely afford the tickets, this giveaway would be amazing! This would be my first time experiencing Ultra Music festival if I were to win these tickets. I am big fan of this type of music and an even bigger fan of the artist performing. As someone who enjoys all genres of music, this will be one of the many events I plan on attending throughout the year. Thank you very much. I have yet to attend ULTRA MUSIC FESTIVAL in MIAMI and desperately need to go this year. The lineup this year is truly unbelievable and I have missed out every year due to financial or school inconveniences. This year, nothing will get in my way. Please help pave the way for me to go to Miami and join the thousands of fans in celebrating what we love – MUSIC. I have never been to a music festival yet. Working two jobs is hard to schedule around. My second job is renovating and it takes two weeks. One of those weekends is during Ultra. This could be my chance to experience something my friends have only explained to me as life-changing. I have also never been to Miami, which would be amazing as well. This would be my 6th year attending Ultra music festival! I am born and raised in Miami and I feel like it would be a sin to not attend. I am not able to purchase a ticket due to my financial situation but this is a great giveaway. I have yet to go to ultra or any other music festival. I love all types of electronic music from big room, deep house, and especially trap. I have been dying to go since most of my friends always go so if I get the chance to win this, it would be incredible! Because Ultra is the chocolate factory and you all will be the Willy Wonka that can grant me my golden ticket. I´ve always pictured myself at this festival & have been wanting to go for many years. I haven’t had the chance due to insufficient funds (currently a full time student) but hopefully this will make my dream come true. The only way I go back to Ultra this year is if I win free tickets. Help me out!! Never been to Ultra this would be a dream come true!!! expirience such an amazing festival and all the good vibes that comes with it. It would be amazing to win tickets to go to Ultra. To experience such an amazing festival and all the good vibes that comes with it. And meet people who become one for the music. Music is my life. EDM is such an escape and a chance to be yourself. If I were to receive these tickets I would make the absolute most out of my experience. You only have one life so why not get out and experience the world. First moved to Miami in august and would love to experience its finest edm festival!! I have been trying to get tickets for this sold out event. My boyfriend has been attending this event for the past 6 years. This past year we hit hard times and weren’t able to get tickets before it sold out. His silent disappointment is so significant to me because I know this festival means more than just music. It’s the only time that he allows himself to be free and happy. We are both really hard working students and now part time workers. This festival is the only time of the year that he doesn’t sacrifice another entire week and weekend to either work or hours of study. His birthday is this March. This giveaway would sincerely make a world of a difference to him . It would be a true miracle to get these tickets despite having fallen into hard economic times. He works so hard and he studies so hard, but I couldn’t afford to spend the extra money on these tickets. In any case, I appreciate your consideration. Just moved to Florida and I need this in my life!!! I should win because Ultra 2015 was my first festival. That weekend completely changed my life, and there is nothing I want more that to return home for my second year!! I want to win the Ultra Music Festival tickets because I have never gone, this would be my first time and I would like to give the second ticket to my best friend Daniela, she’s the sweetest girl in the world and I think it would be a dream come true to be given the opportunity to go together to one of the most exciting and thrilling events in Miami history !!!! I think I should win this contest because I am currently a full-time student at the University of Florida taking 18 credits this semester, majoring in Political Science while on the Pre-law track to get into Law School. Tickets for this event went sold out before I could even save up the money to buy one. With tickets now being resold at $450+, there is no way I would be able to afford to buy a ticket to Ultra this year. I am originally from Miami, FL and would be nothing but grateful if I found out I won this contest! Best of luck to everyone who has entered to win. I love this festival, been going for 4 years now and unfortunately they sold out right when I was going to purchase my ticket. Please!!! Let me win!!! Me it’d be his turn to take me to ultra as a thank you, but then we never really spoke again. I should win because I recently moved away from Miami and I miss my city so much! Perfect reason to go visit!!! I have entered MORE than 15 contests this year to make it to Ultra Music Festival. At this point, I don’t even care if I win because I’m glad that my search has brought me to you guys. Many women in my family and in my life have had breast cancer, so I want to personally thank you for supporting this cause. It means more than you will ever know! Thank you thank you thank you! Save the twinz! Never been to Ultra so this is my first year in miami, would be an even better trip! I used to live in Miami ano the last time I went to ultra was in 2014. It would be amazing to join all my friends be rave fam in Florida and the number 1 festival in Miami if not in the US. I haven’t been able to visit Miami for about a year and half now and being able took back especially for ultra would just be the most rewarding feeling in the world. I would be absolutely honored if you selected me! I have been trying to make it to Ultra for the past six years, and every year something happens! Primarily issues with family and needing to be there in their time of need. I had plans to come on my senior spring break but had to sell my tickets and fly back home for much of the same thing. Thank you thank you thank you for the opportunity! I would love to take my boyfriend to his first Ultra!! This is my favorite festival and I absolutely love Miami!! Thank you so much for the opportunity!! You guys are the best! Thank you for the opportunity! I’m flying in from LA for spring break that week! I would love a pair of tickets! IVE BEEN DYING TO GO FOR YEARS BUT CAN NEVER SAVE UP THE MONEY! I AM A LOVER OF EDM AND THIS WOULD BE A DREAM COME TRUE! I’ve never been to Ultra and I’ve wanted too for so long!!!! I’d be so grateful. I should win because I want to give one of the tickets to my boyfriend for his birthday for his first music festival and what better festival to start with than the biggest festival held in Miami! I want him to have the best birthday ever this year since he hasn’t celebrated it in the past 10 years. I have wanted to go to Ultra for years but it is always just out of my price range! Why do I think I should win? Because Damion is the man! I would like to win these tickets Because i love the music , and attending to this festival would be a dream come true, also it would be a great gift to my friend for his birthday ,he is my best friend and it would be awesome to go with him its a dream that we want to come true.Also when i listened they wanted to cancel the festival i couldnt believe it Because i wanted to go to this festival so hard,so as thwy didnt cancel it I eant to have the opportunity to be there, this festival is the reason that I discovered my love to EDM so i would appreciate to win these tickets , because also im living in Florida in this moment so i would be easier for me to attend this festival , if I dont win these tickets thw opportunity to attend this festival is going to be really gone , and its a dream i have , so please help me to live this dream, I will appreciate it a lot!! I need a vacation so bad. Ultra music festival would soothe my soul. I have never been to UMF so it would definitely be an experience to remember! Thank you for the opportunity! Good luck to everyone! This is pretty cool. I hope o win, just got married and couldn’t afford a honeymoon. This would be great. I’m recently married and my wife has never been to ultra. We didn’t have a honeymoon due to finances. Ultra would be perfect!